SWITZERLAND VENDING MACHINE COMPANIES. These Switzerland Vending Companies may offer Snack, Soda, Drinks, Food, Deli, Coffee, Healthy vending machines, Micro Markets, Amusement Games, Repair services and more! These suppliers are listed below alphabetically by company name, please contact them direct for more information about their vending services and products they offer. 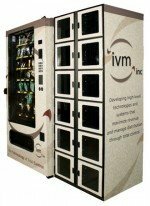 Bonus Data – Vending Machine Software – Toolbox to develop smart PC based vending applications with less time and money. Switzerland. Selecta is the leading vending and coffee services company in Europe with a turnover of MEUR 740 and 4’300 employees. Founded and headquartered in Switzerland in 1957, Selecta has grown its geographic market presence to 18 countries across Europe.